The Gatimaan Express between New Delhi and Agra is all set to redefine travel by train in India. Flagged off on June 9 by Prime Minister Narendra Modi, the Gatimaan Express is the fastest of all Delhi to Agra trains. It will travel from Delhi to Agra sooner than Shatabdi Express by 15 minutes, at a speed of 160 km/hr. India’s fastest train Gatimaan Express will be launched this financial year. It is a new feather to the cap of Indian Railways. It is good news for not only Indians but also foreign tourists on visit to Agra, an ancient heritage city of the Taj Mahal. Of the total foreign tourist arrivals in India in 2012, 7.1 lakh visited the Taj Mahal of Agra. As most tourists travel from Delhi to Agra, the Gatimaan Express will be a hit with them. Among the things to know about the Gatimaan Express is backseat entertainment system. The back of every seat in the Executive Class is equipped with an 8-inch LCD monitor. To be powered by satellite television at the next phase, the entertainment systems will broadcast live news. 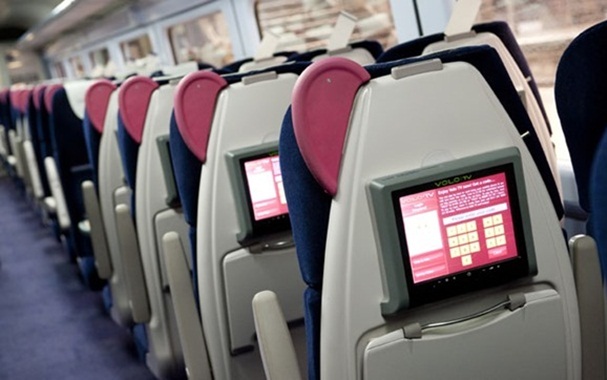 The Gatimaan Express has 12 ultra-modern coaches equipped with sliding doors, automatic fire alarms, passenger information systems and emergency braking system. Evidently, it is a high-tech train, too. It is powered by a 5,400 Horse Power engine to cover the Delhi to Agra distance in 1 hour 45 minutes. The Gatimaan Express will cost 1365 INR per ticket in the Executive Class and 690 INR per ticket for travel by AC Chair Car. Delhi to Agra travel by the Gatimaan Express will be costlier by 25% than that by Shatabdi Express. However, it seems to be a joyride without any halt on the way. Indian Railways is looking to make travel by train faster by launching such semi high-speed trains on nine more routes including Goa-Mumbai, Hyderabad-Chennai, Delhi-Kanpur, Delhi-Chandigarh, Nagpur-Bilaspur and Nagpur-Secunderabad. Indian Eagle is a USA based fast-growing travel organization booking the cheapest airline tickets to India and sharing useful India travel tips.